Social media is an amazing tool for people and brands to connect to others. We have Facebook, Twitter, LinkedIn, Instagram, SnapChat, and several others. But while many of us love to surf these sites, there could be a place for our aging loved ones to enjoy these innovative tools as well. Family photos and updates. Your aging loved one can enjoy seeing pictures of their grandchildren and family members, and staying informed about what they are up to. Communication. 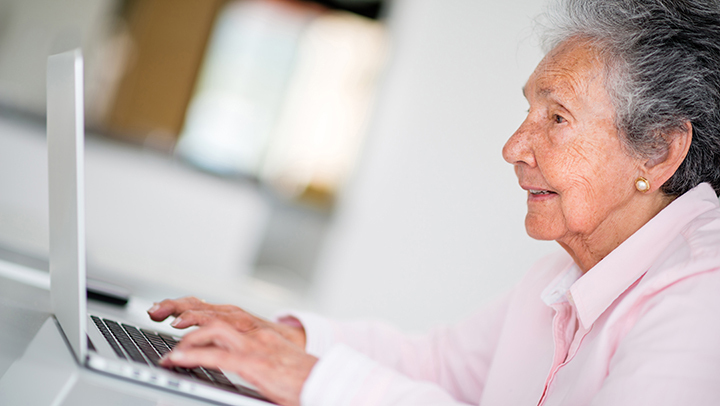 Facebook Messenger and other forms of communication via social media allow seniors to connect in new ways. They can reconnect with old classmates or simply send an email to their niece or nephew. Interesting content. Does your aging loved one enjoy crafts? Then they will fall in love with Pinterest! If they like animals, Instagram will provide them with tons of fun content. If you think your loved one needs help finding accounts of content, then you can set them up with accounts they will like before handing it over to them. News. Platforms like Facebook and Twitter are great places for your senior to stay informed and knowledgeable about what is going on in the world. They can follow their favorite news channels, newspapers, or even find new avenues of knowledge such as blogs or podcasts. Support. There's a serious aspect to social media as well. If your loved one is struggling with depression, isolation, or a disease such as rheumatoid arthritis or cancer, they can find support groups all over the internet, where they can find hope, friendship, and an understanding audience. As you can see, the world of social media can provide many benefits for seniors. It helps them connect with a larger world and learn new topics. If they need help signing up, give them a hand!